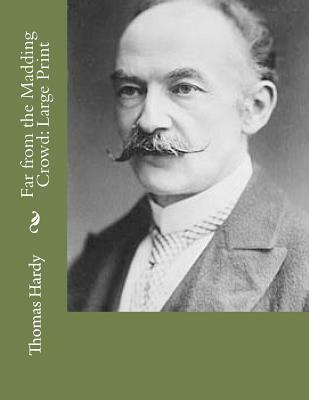 Far from the Madding Crowd by Thomas Hardy Far from the Madding Crowd was the first of Hardy's novels to apply the name of Wessex to the landscape of south-west England, and the first to gain him widespread popularity as a novelist. When the beautiful and spirited Bathsheba Everdene inherits her own farm, she attracts three very different suitors; the seemingly commonplace man-of-the-soil Gabriel Oak, the dashing young soldier Francis Troy, and the respectable, middle-aged Farmer Boldwood. Her choice, and the tragedy it provokes, lie at the centre of Hardy's ambivalent story We are delighted to publish this classic book as part of our extensive Classic Library collection. Many of the books in our collection have been out of print for decades, and therefore have not been accessible to the general public. The aim of our publishing program is to facilitate rapid access to this vast reservoir of literature, and our view is that this is a significant literary work, which deserves to be brought back into print after many decades. The contents of the vast majority of titles in the Classic Library have been scanned from the original works. To ensure a high quality product, each title has been meticulously hand curated by our staff. Our philosophy has been guided by a desire to provide the reader with a book that is as close as possible to ownership of the original work. We hope that you will enjoy this wonderful classic work, and that for you it becomes an enriching experience.